The idea came to me after reading an article in the September 2009 issue of an electronics hobbyist magazine called Nuts & Volts. 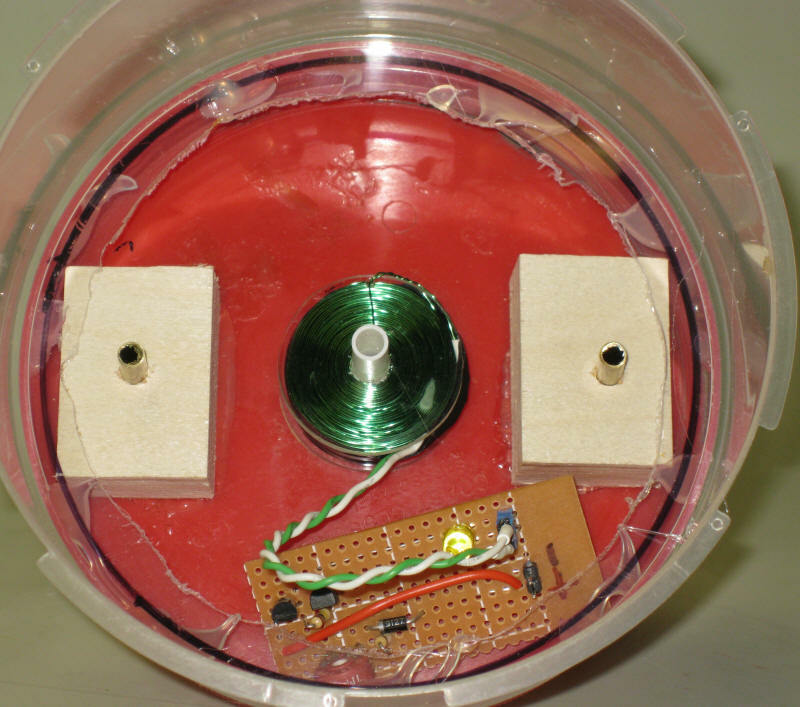 The article described a pendulum that would swing back and forth for weeks and weeks on the power provided by a battery made up of only two AA cells. 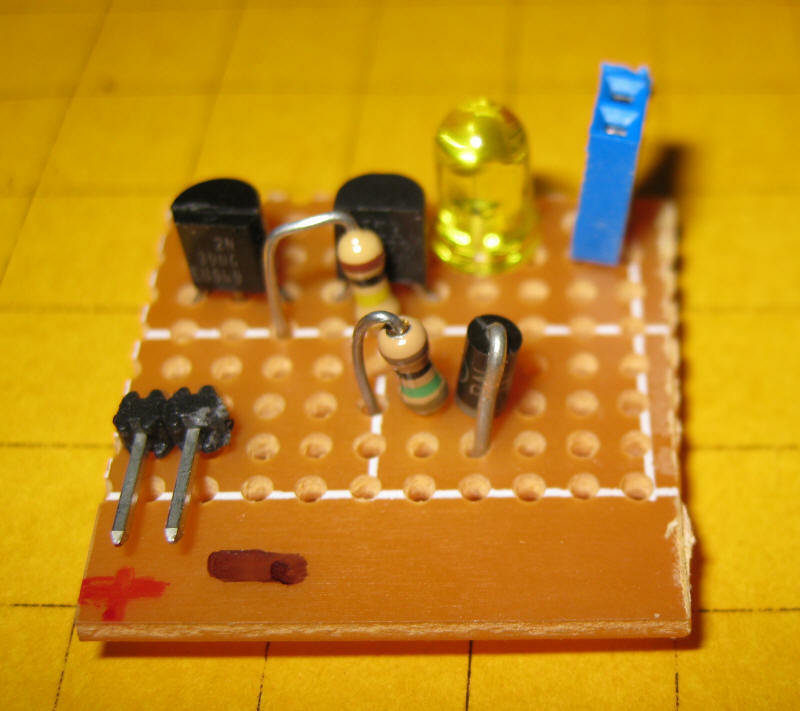 The electronic circuit was simple and I had most of the parts for it on hand. 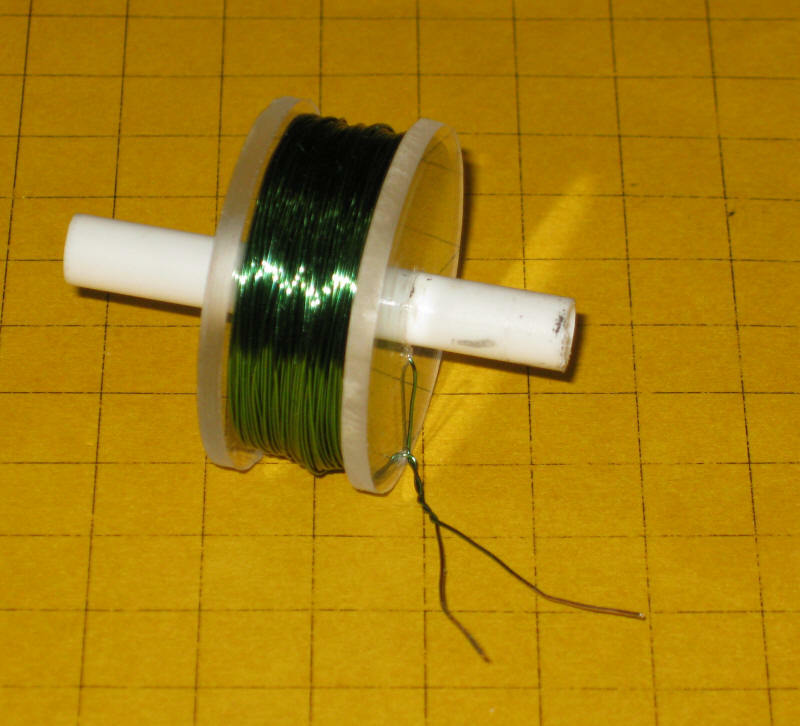 The main component that I lacked was the wire to hand wind a coil. 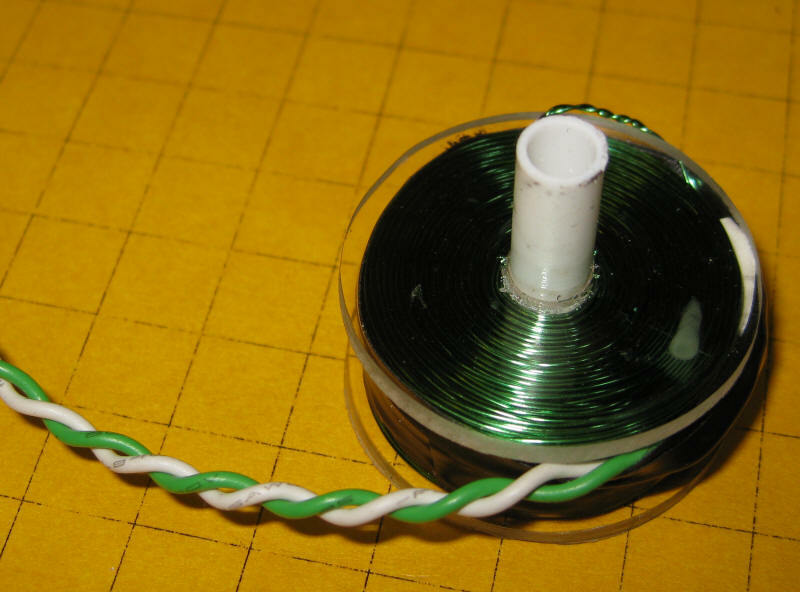 I found the magnet wire that I needed on eBay and ordered it so that I could make my own version of the pendulum. 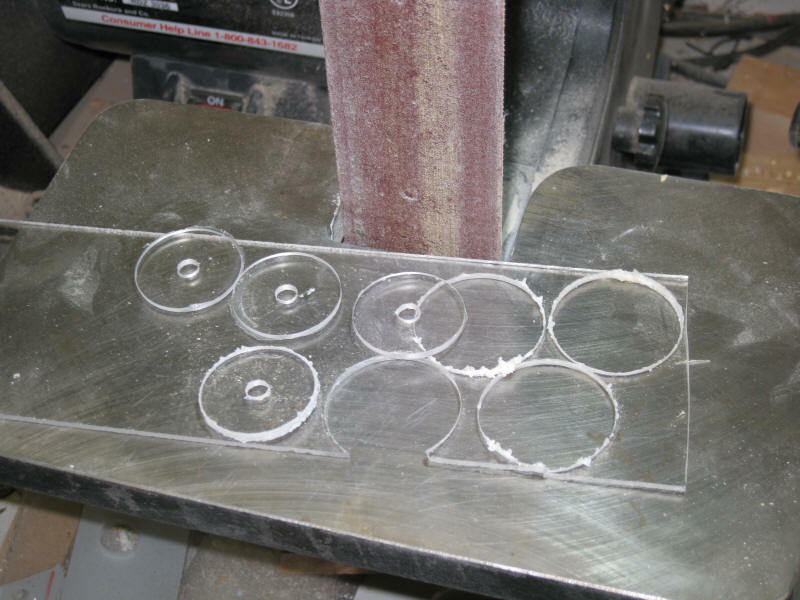 The form is made up of two 1 1/4" diameter disks of 3/32" Plexiglas and a 1/4" plastic core. Before gluing the disks drill two 1/16" holes in one of them. The ends of the wire that make up the coil will pass through these holes. 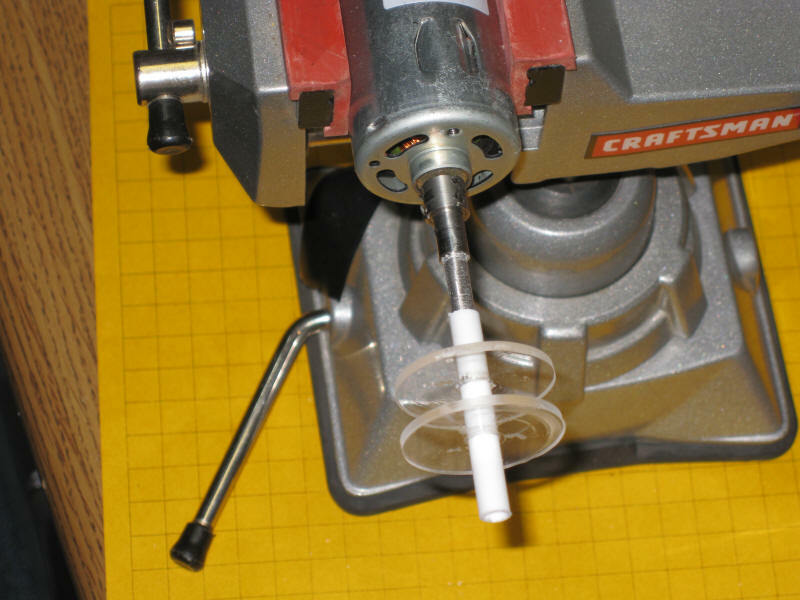 Glue the disks to 1/4" plastic tubing. 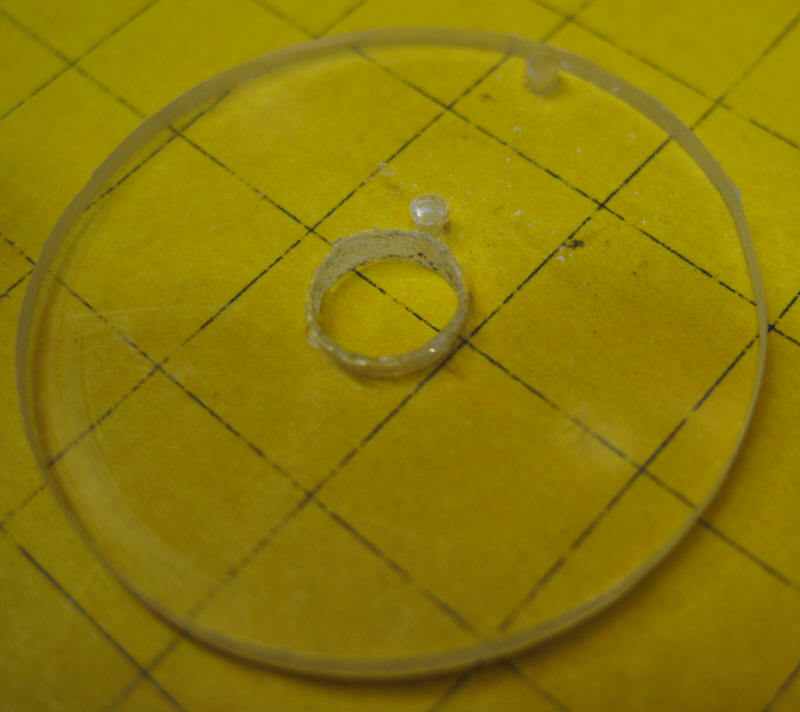 Carefully align the disks on the tubing so that they are square and glue them with plastic glue such as Pro Weld. 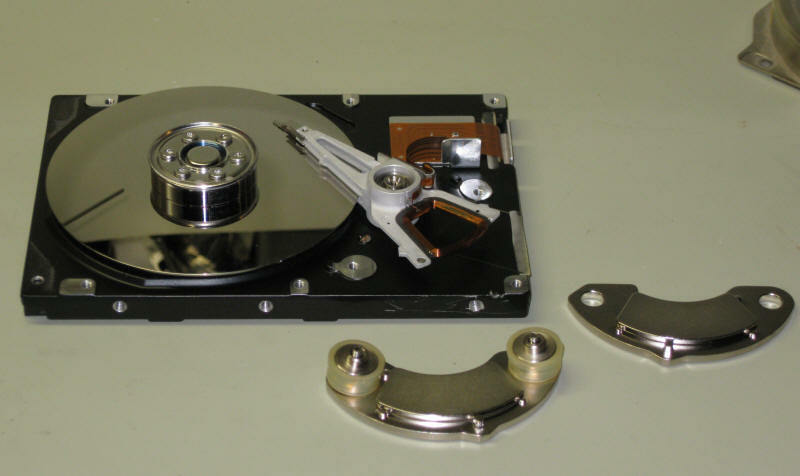 The spacing between the disks should be close to 3/8" as shown here. 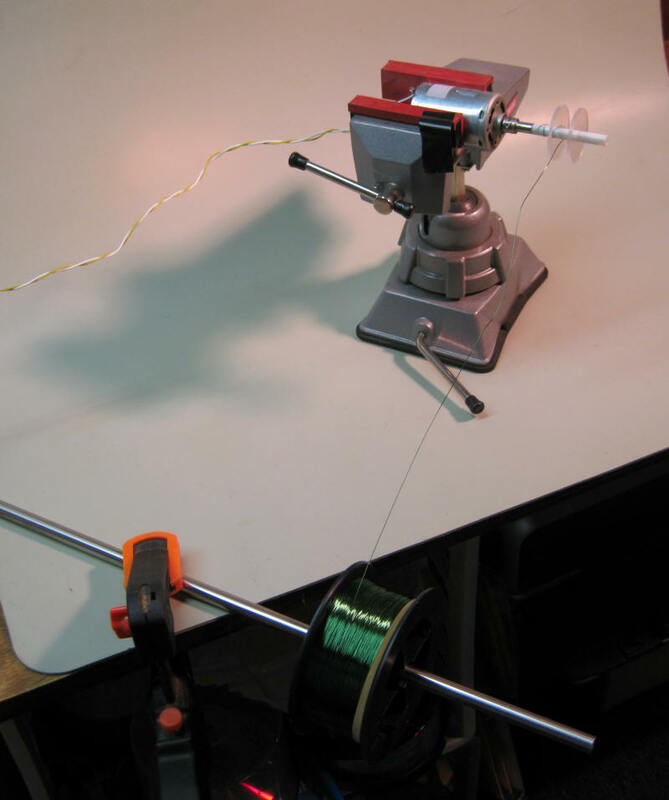 The coil can be wound by hand but it is much, much faster to do it with a motor. I used a small DC motor that I found in my junk box. 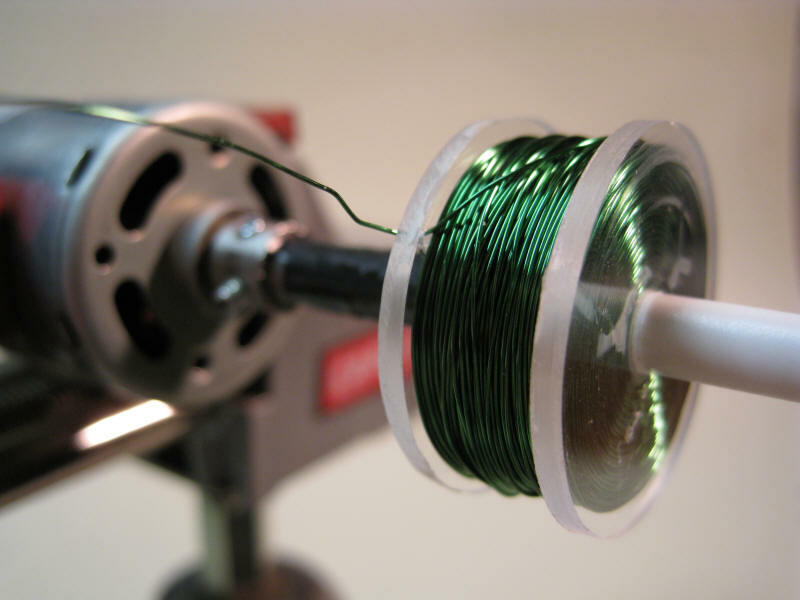 Try to find a motor with a shaft that will fit tightly into the 1/4" plastic tubing at the center of the coil form. I turned down the shaft on the motor shown here to get a proper fit. 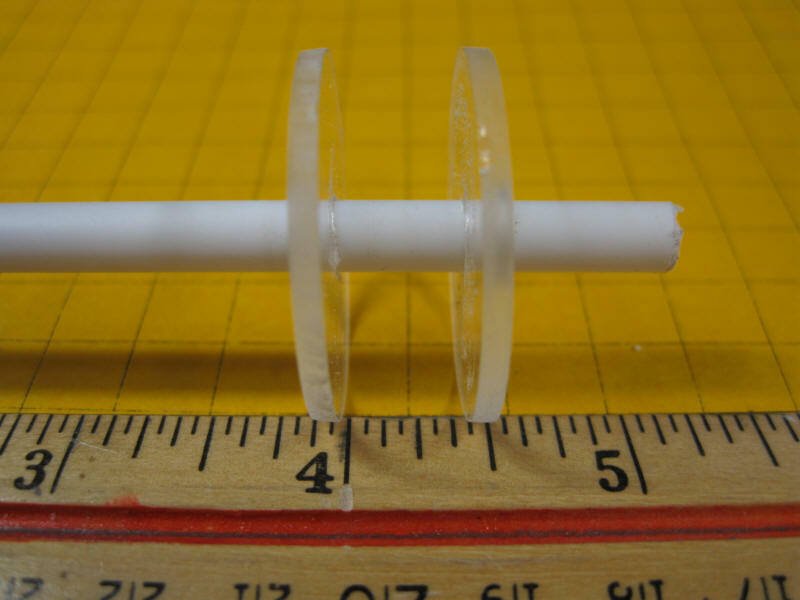 If the shaft is too small you could build up the shaft diameter with pieces of brass or plastic tubing. Here the motor is shown mounted in a small vise. 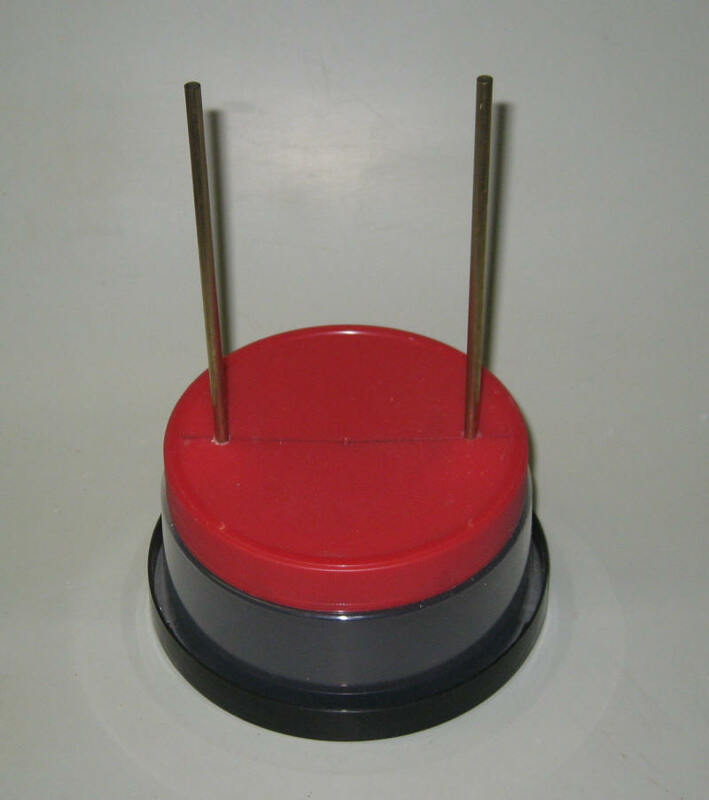 The coil form is mounted on the shaft. 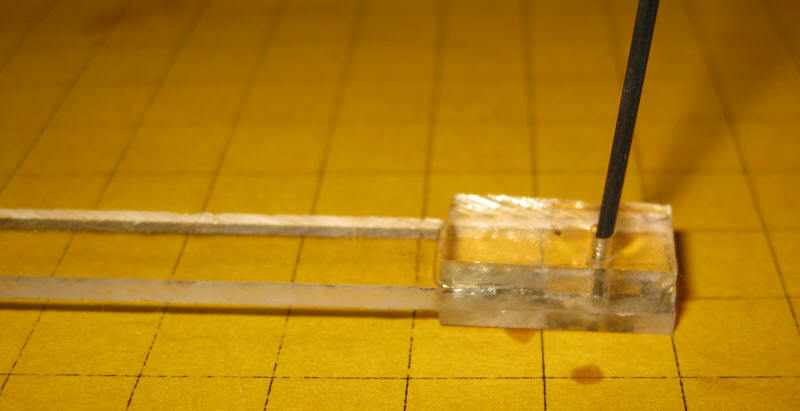 Note that the 1/4" tubing extends from both sides of the coil form. This makes it easier to wind the coil. The section of tubing that extends from the disk without the 1/16" holes will be cut off when the coil is complete. Push a 4" piece of the magnet wire through the inner hole that you drilled in one of the disks and wind it around the shaft. 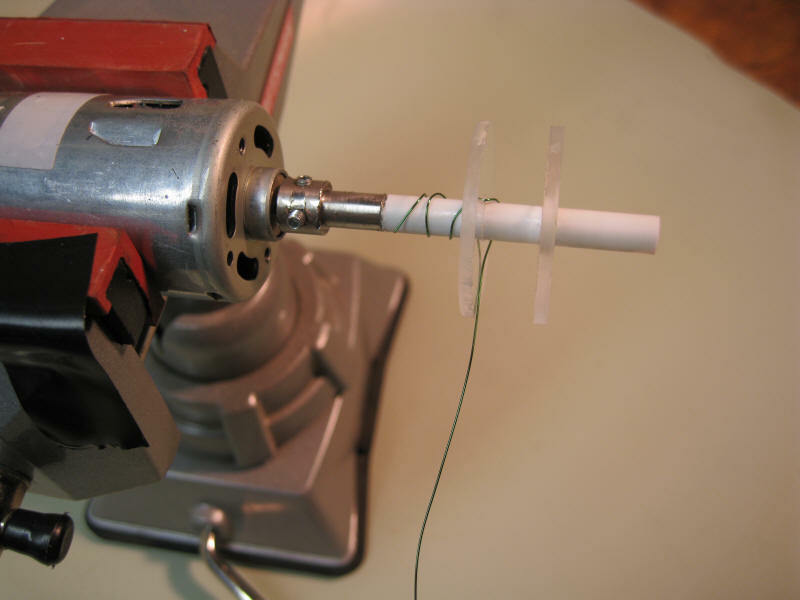 Put a piece of tape around the shaft and onto the motor's shaft to hold the form to the motor. When the coil form was nearly full the power was turned off but the wire was kept under tension so that the newly wound coil and the feed coil didn't unwind. After the coil is wound cut the magnet wire a few inches from the coil and pull the end of the wire through the outer hole in the form. 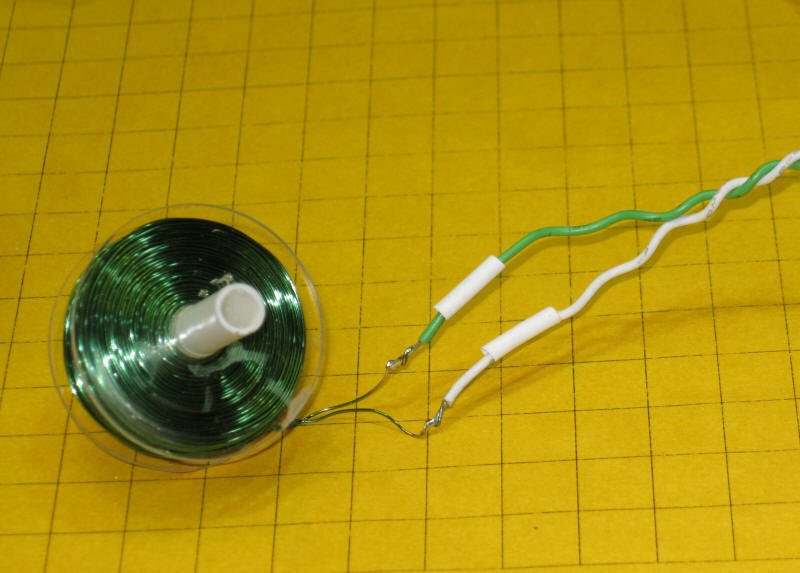 Don't kink the wire and make sure that you keep the coil under tension until this is done or it will surely unwind itself. Here is the completed coil. 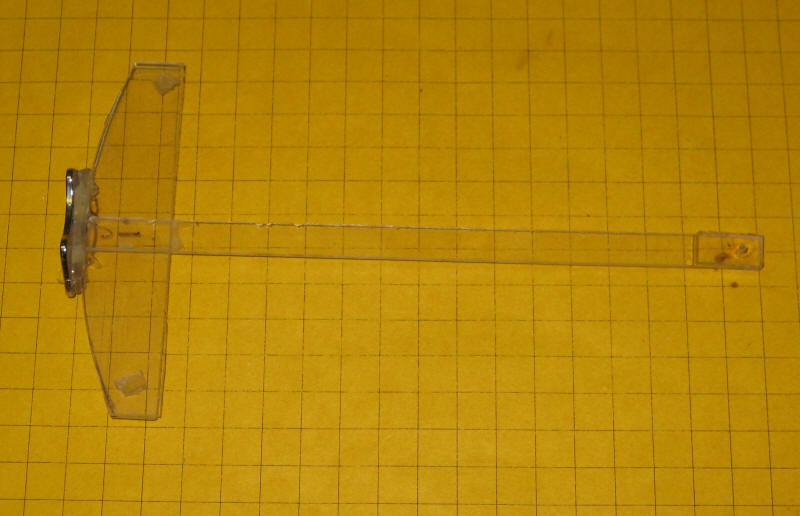 Only the section of the 1/4" tubing that is on the side with the 1/16" holes remains. The other end was cut off flush with the outer plastic disk. Radio Shack sells a similar board, # 276-003. 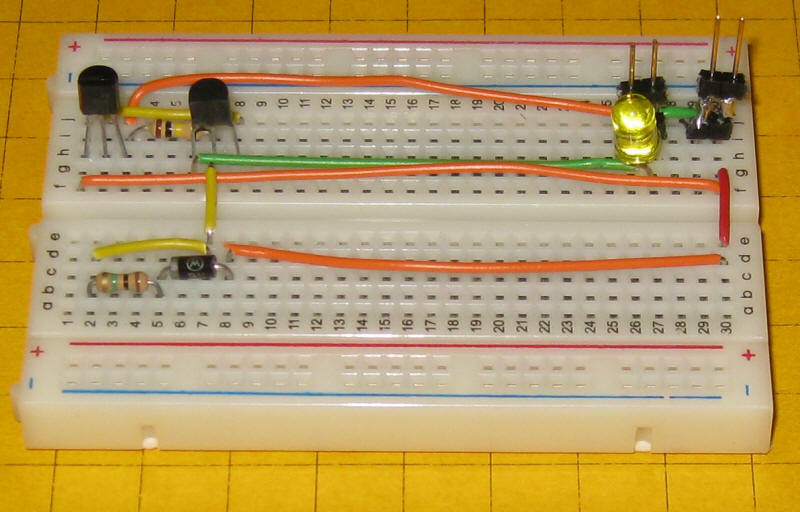 Make sure that the two transistors, the LED and the diode are oriented as shown. The transistor's flat side goes towards the center of the board, the LED's flat side and the diode's band both go to the left. 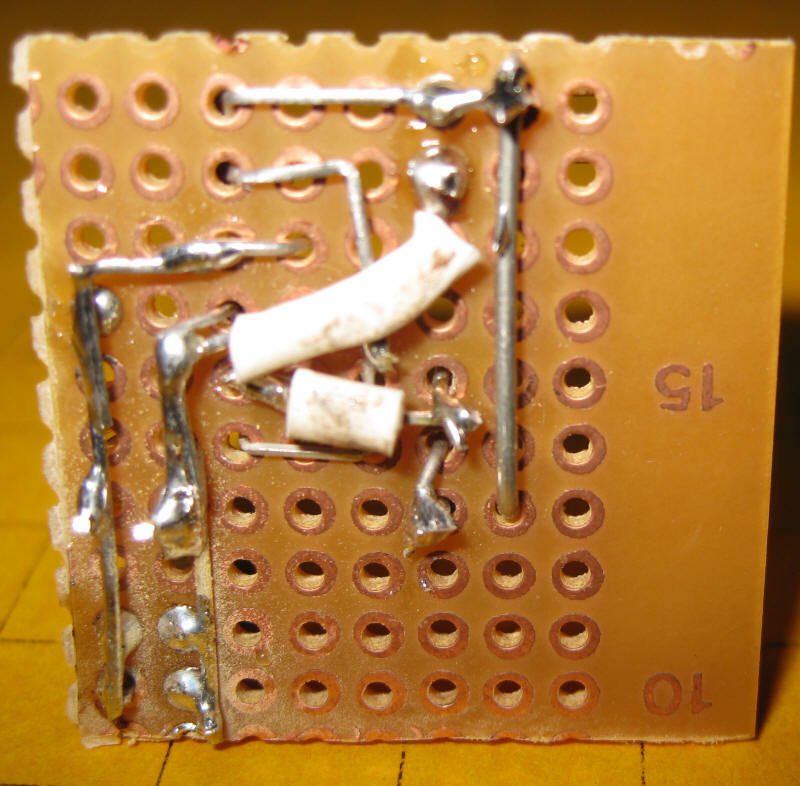 Once everything is working properly the circuit can be soldered onto a piece of perfboard like Radio Shack's #267-1395. The base for the test unit is made from plywood or MDF (medium density fiberboard) about 5" x 3" and the vertical sections are made from 1" x 12" x 1/8" wood strips. The base should be fairly heavy to keep the unit from rocking as the pendulum swings. A number of holes were drilled towards the top to accommodate different sized pendulums. 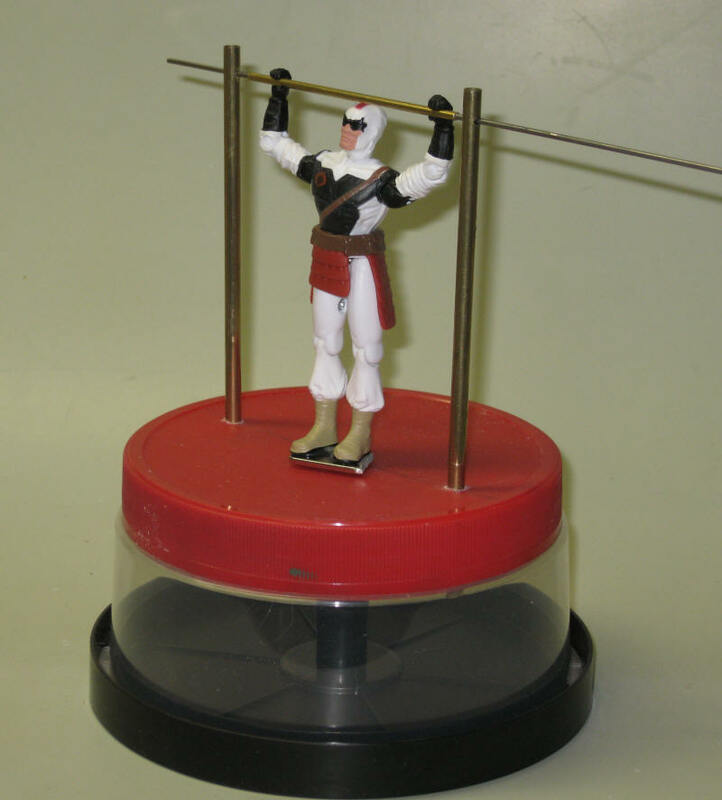 The horizontal bar is made from a 6" piece of 1/16" diameter piano wire. It goes through holes in the wood uprights and securely supports the pendulum. The silver pieces on each side of the top of the pendulum are stops that I got in the model airplane section of the local hobby shop. 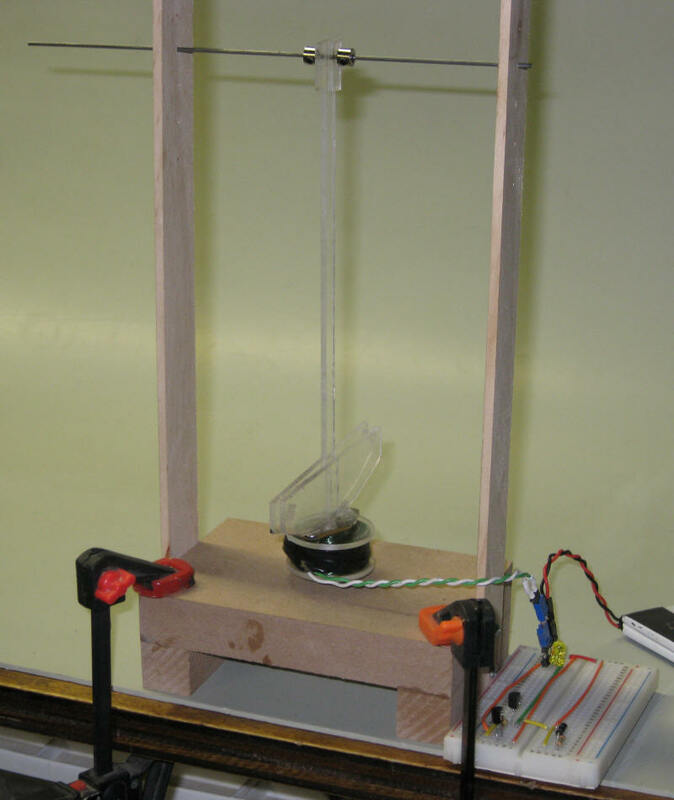 I made my pendulum from Plexiglas but it could be made from wood, brass or any other non-ferrous material. Any convenient size can be used. 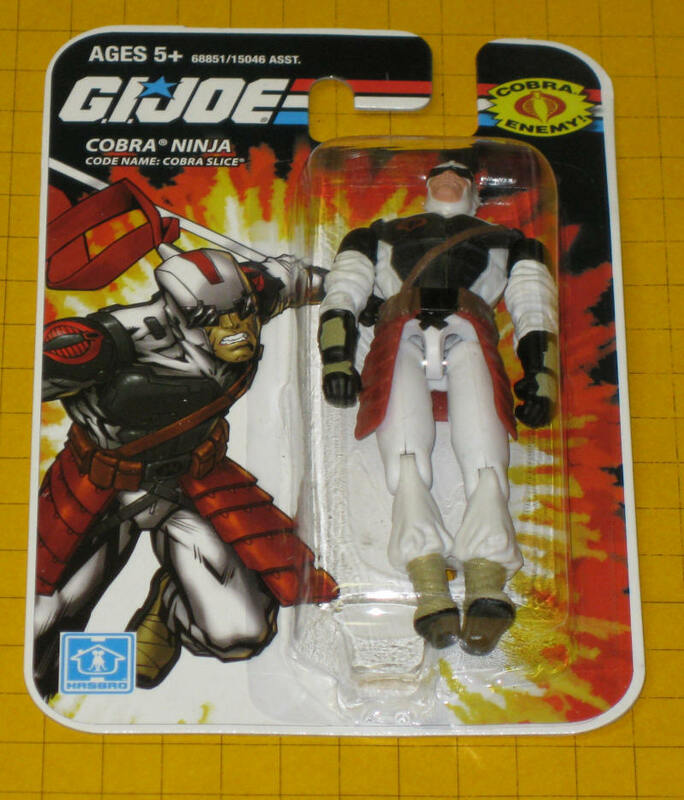 Mine is about 7" long. 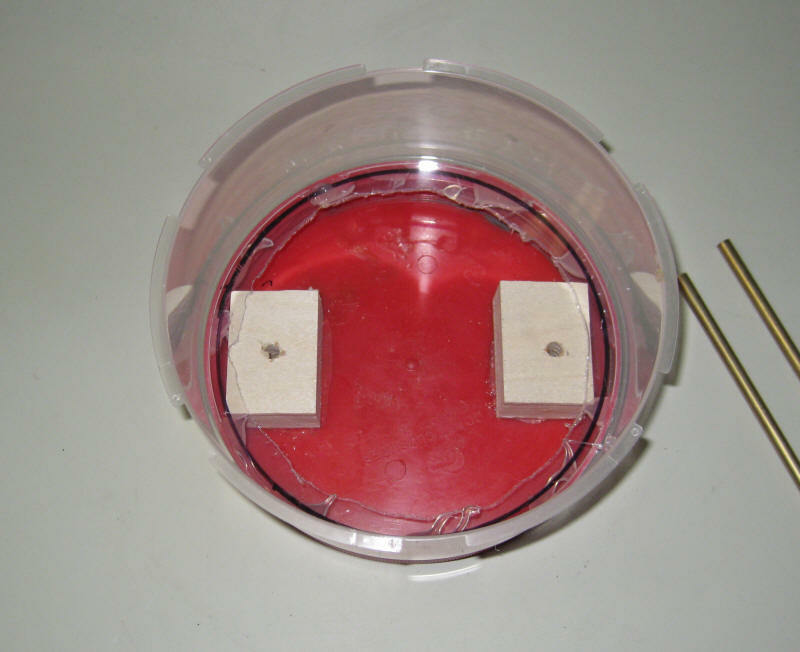 Remove the magnets from the "keepers" by gripping each end of the mount with pliers and bending down. They will loosen and can easily be removed. 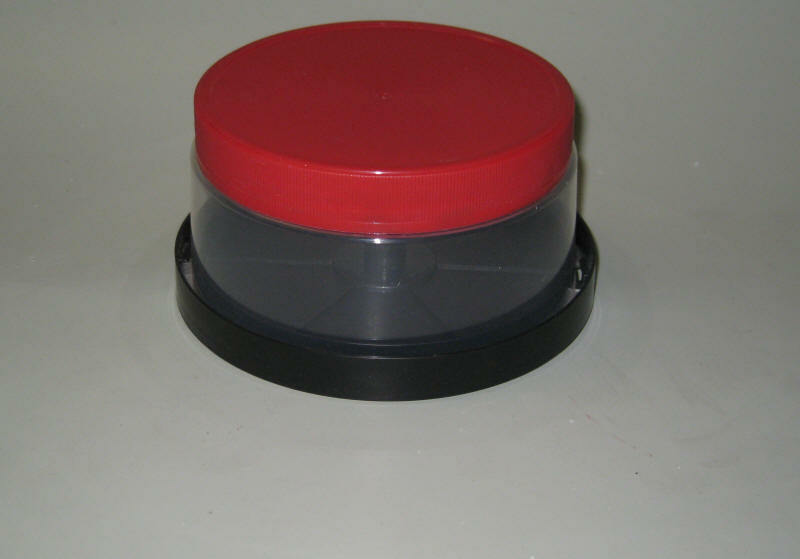 There are also a number of places on the Internet and on eBay that sell magnets. 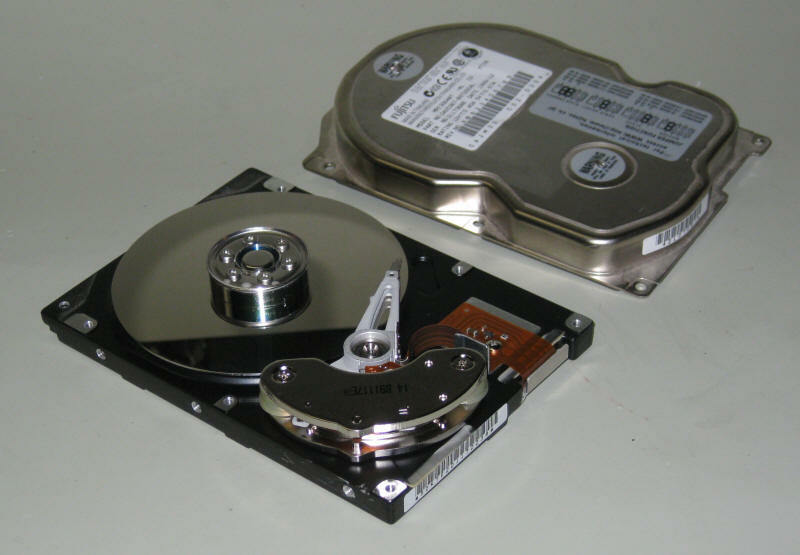 I vendor that I have used and can recommend is KJMagnetics.com. 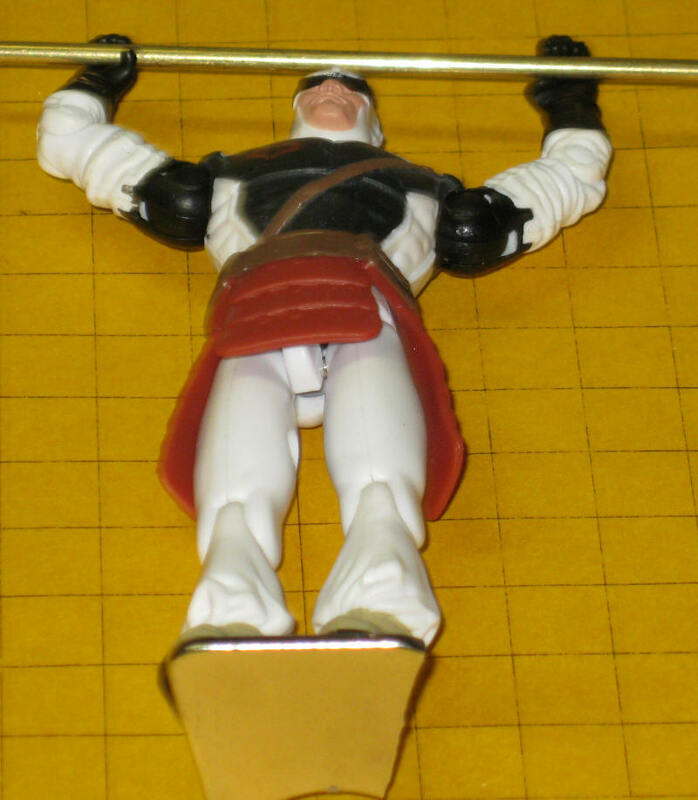 In order to decrease friction I decided to glue his hands to a piece of 3/32" brass tubing. 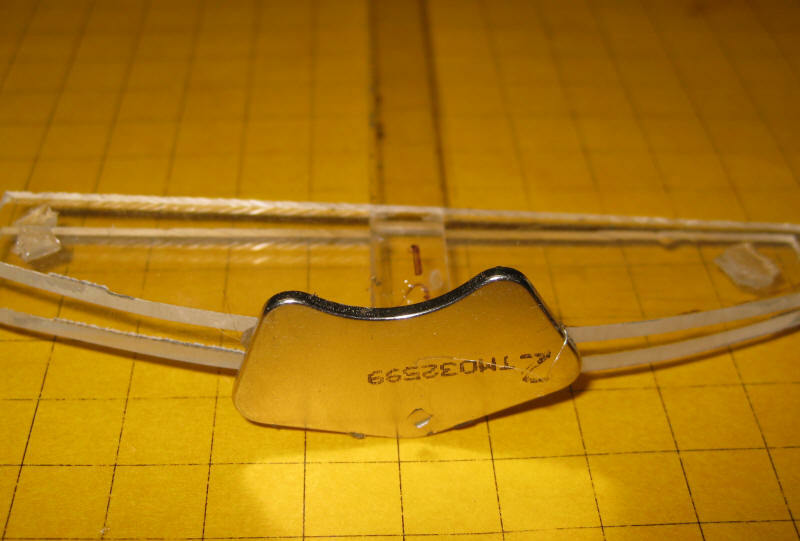 The tubing fits right over the piano wire and provides a very low friction support. 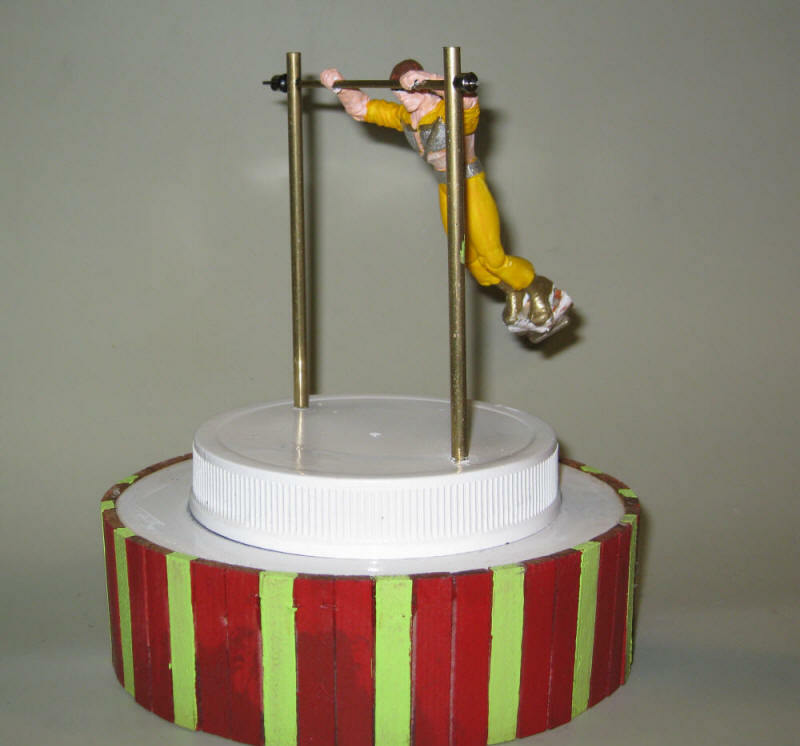 The base of the gymnast's swing was made from a pretzel jar lid that sits atop an empty DVD / CD container. 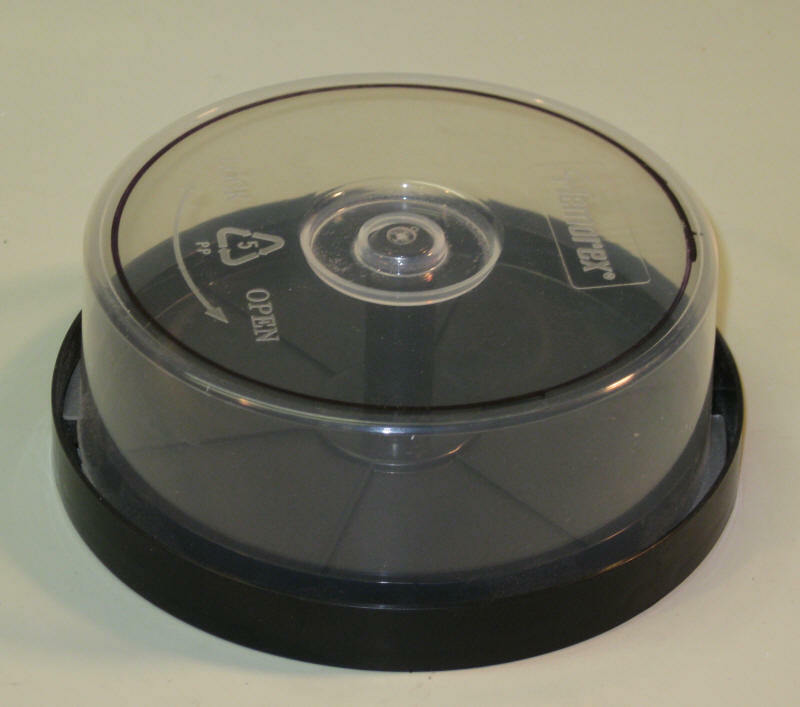 This photo shows how the top of the CD container was cut away. Wood blocks were glued to the red lid. The lid was drilled to support two 3/16" brass rods that will make up the vertical supports for the horizontal bar. The rods are pushed through the holes in the lid and into the wood blocks below. 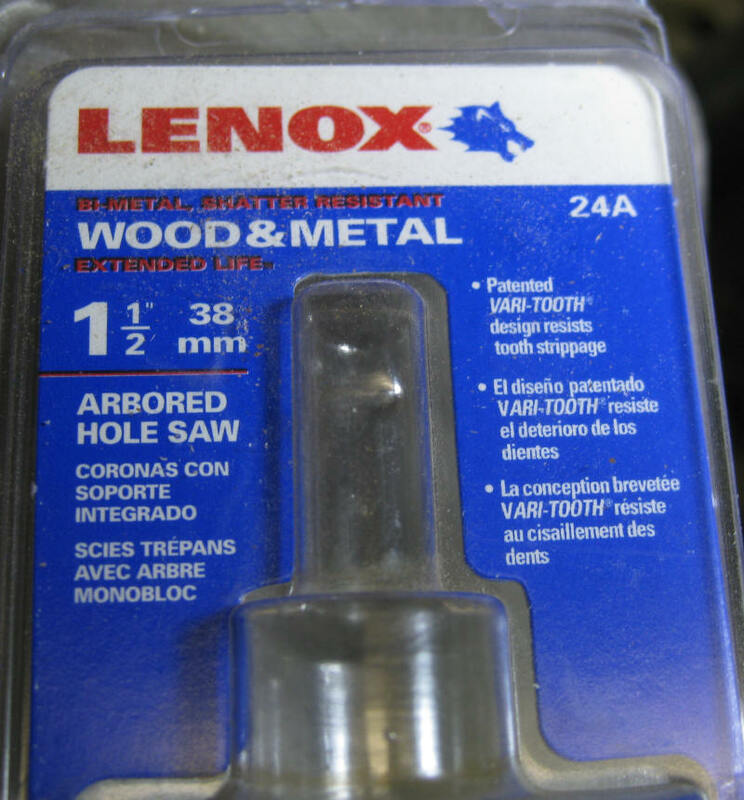 It may help to ream out the holes a bit so that the brass rods can be pushed in more easily. Don't make them too tight as you have to be able to move them in and out of the holes to adjust the position of the gymnast. Here the gymnast is supported by the horizontal bar. 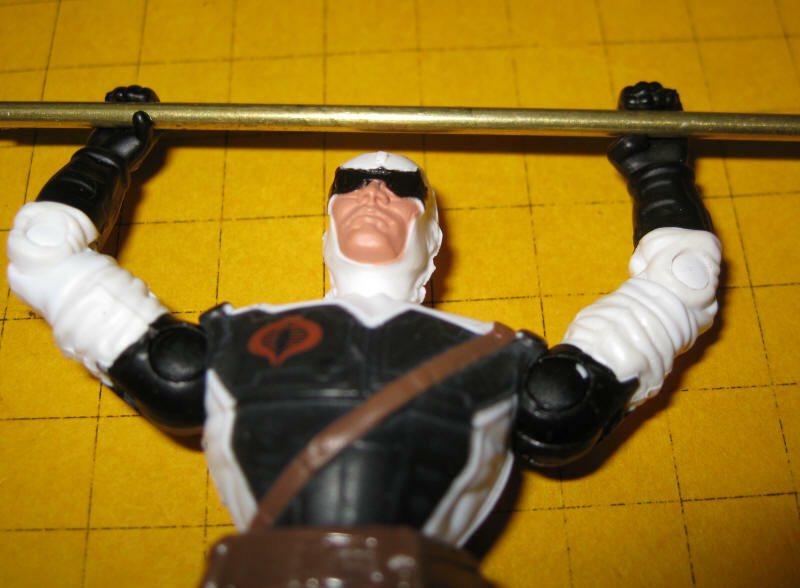 The 3/32" brass rod between his hands goes over a piece 1/16" steel piano wire. 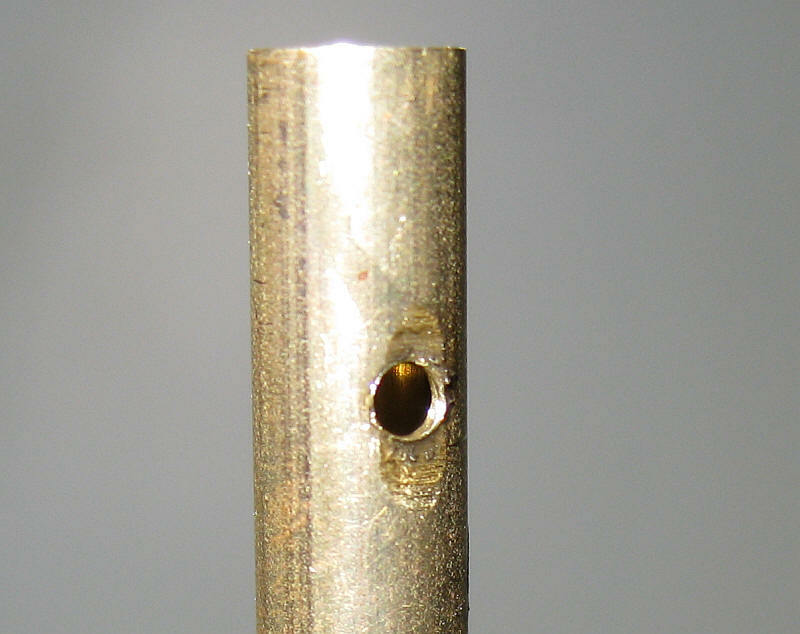 The piano wire goes through 1/16" holes in the vertical brass rods. 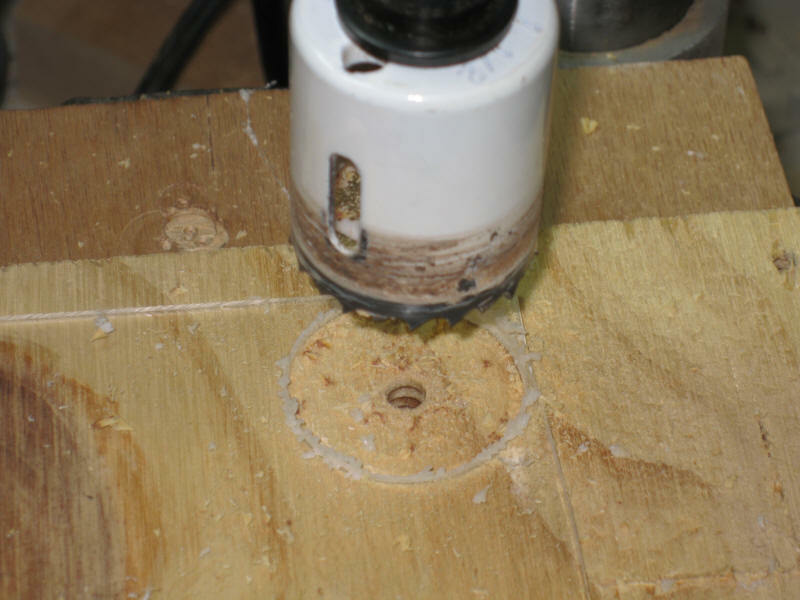 To facilitate drilling a hole into round tubing a small area was ground flat before drilling. To help reduce friction the outer hole in each vertical rod was drilled out to 3/32" so that the piano wire only contacts the inner hole. I have to say that this has been one of the most "fun" projects I have undertaken in some time. More importantly it is something that visitors to our displays enjoy. Give it a try and make sure you bring the bare bones version of the pendulum along so that you can use it to explain how it works!